Starring Mark Wahlberg as Police Sargent Tommy Saunders, a fictional character, who is a main component to the hectic storyline. From the beginning to end he works alongside real life individuals; Tommy’s boss the Boston Police Commissioner Ed Davis (John Goodman) and Sergeant Jeffrey Pugliese (J.K Simmons). Director and co-writer Peter Berg has created an intense, heart pulping, narrative of the events that generally sticks to the facts. 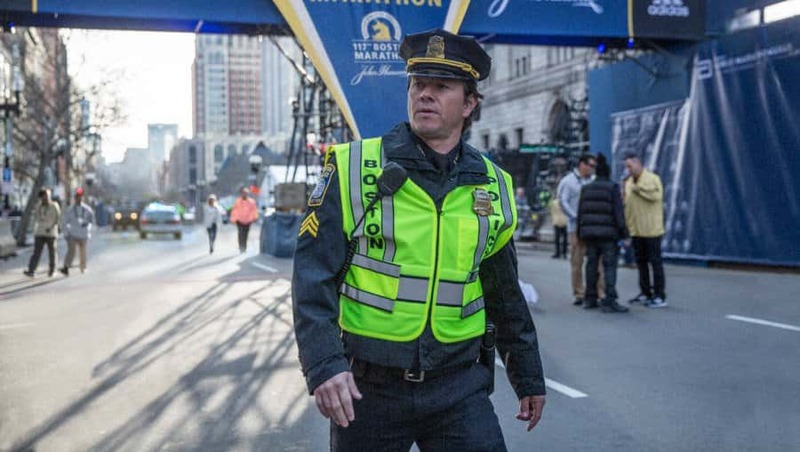 Patriots Day is no exception to the catastrophic action thrillers Berg specialises in, from Lone Survivor to Deepwater Horizon, both of which also star Boston-born Wahlberg. Saunders is suspended in the opening scene for an unknown reason, and his dominating cop demeanour struggles with more authoritative roles taking power, when the FBI take over the investigation, lead by Special Agent Richard DesLauriers (Kevin Bacon). The vicious attack launched by two brothers, Tamerlan (Themo Melikidze) and Dzhokhar Tsarnaev (Alex Wolff), truly accentuates the emotion of violence. Their homemade pressure cooker bombs cause devastation after they are detonated 13 seconds apart and only metres from the marathon finishing line, where Saunders is situated, striking chaos for those surrounding. Most unforgettably, Berg uses raw footage from the day to demonstrate the realism the film desperately wants to portray. There’s a large cast of characters whom each serve subplots, some of which overlap each other throughout. Including Newlyweds Patrick Downes and Jessica Kenksy, who both lost a leg to the explosions. The shattered debris and blood-splattered sidewalks are silent hours afterwards. Although an insight into the scale of those that were injured is attempted in the short scenes at Massachusetts’s general hospital, the death of three people, including an eight-year-old boy, are barely focused on. The plot quickens to an extensive citywide manhunt, seeing no one sleep until those responsible are captured. During their race to cause more carnage in New York, the brothers kidnap a young man and Tamerlan murders a police officer Sean Collier (Jake Picking); “shutting the city down” is the only way to stop them in their tracks. A blood rushing shootout between the Tsarnaev brothers and the police ends in the climatic death of Tamerlan. Shortly after leading to the capture of Dzhokhar when a resident notices someone hiding in his boat. 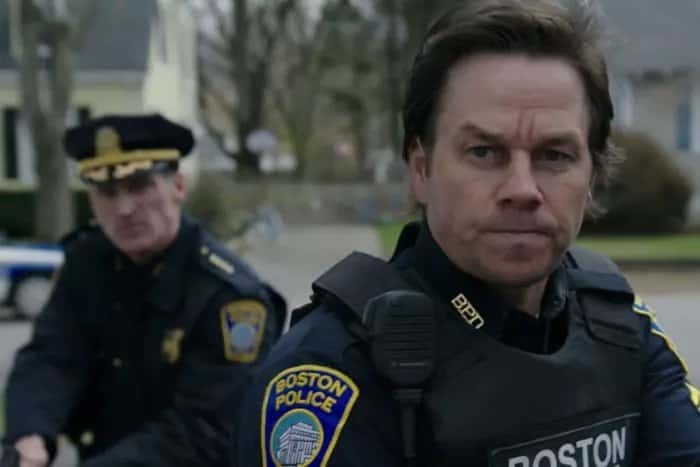 The law enforcement team do take an uncomfortable amount of time congratulating their work, leading to Wahlberg’s role becoming somewhat irritating. But once you get past the heroism, this gripping account of what happened that day and the aftermath is a credit to the victims and the city of Boston. For those connected, it may be deemed too soon to recreate the painful memories of less than four years ago, as the fear terrorism provokes feels real. And although Berg declines to show the motivation behind the brother’s actions, he succeeds in the storytelling with dignity and respect. Closing with tributes to those killed and heartfelt statements from the police and survivors.